School’s cancelled! Winter is the season for making the most of a school day even when school is not in session. Each school district has its own inclement weather policies. You may receive your “school’s cancelled” alert from the school, television, or through an app like SafeStop. When you get the announcement, the best thing to do is relax. It’s time for the children to sleep in, and for you to plan your day. For many parents, a day off of school means a day that needs to be rearranged. If you are a working parent, you may need to take the day off or arrange other care for your children. If you are able to be at home with your kids, other activities you may have planned for the day will need to be rescheduled or incorporated into your newly kid-centered day. On the plus side, school cancellation opens the door for extra quality time with your children! Proactively coming up with a short to-do list can ensure these unexpected days go well. Depending on your patience and supplies on hand, a surprise day off from school can be a chance to explore a homework subject a little more deeply, or expand on your child’s creative interests. Ask your child what their favorite class is and why — then take their answer and develop an activity. From creating sculptures with found objects, salt dough states, and building popsicle stick houses, to writing and illustrating their own short books — the possibilities are rich and driven by your child’s ideas, so they’ll be more engaged in these activities. Check out this cool website from the Library of Congress. Also consider the San Francisco Exploratorium, with a wealth of activities and fun for all ages, easily accessible online. You can check out even more educational games online, with the arcade at the National Oceanic and Atmospheric Administration (NOAA), the Smithsonian, or the American Natural History Museum. 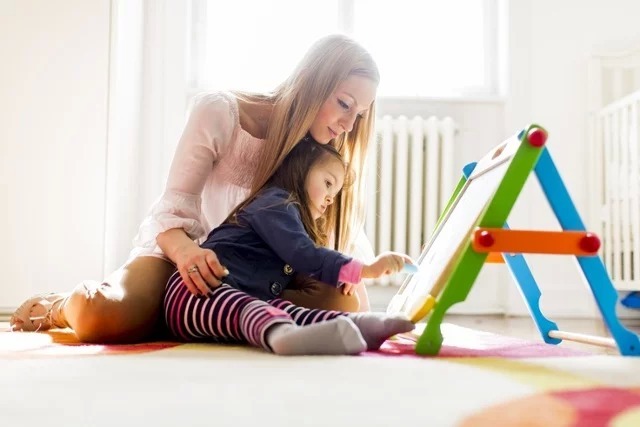 If the winter weather hasn’t knocked out your Internet connection, there is an entire world of information, activities, and places for you and your child to experience online when you have a little extra time and imagination on your hands. When you look around your house, do you see a task you’d like to tackle with a few extra hands on board? A school closure favorite is cleaning out children’s closets, playrooms, and toy boxes. Old toys, games, clothes, and other artifacts unearthed for an afternoon could lead to a new and creative round of play. Ask your children to help by choosing what they would like to keep, donate, take to the consignment store, and exchange for another item, or list on Poshmark or Facebook Marketplace, so they can buy clothes with their “earnings.” Dust, sweep, straighten, and give your children a chance to rearrange their clean spaces. When the cleaning is done, think about some productive kitchen time together. From brewing a nice cup of tea or hot chocolate, to baking cookies, brownies, homemade pretzels, or the evening meal — involve your children in deciding what to make and let them help you along the way. Children of all ages love to cook and create things. Remind them it is simply chemistry, and their reward is they get to eat their finished “experiment”. Let your pantry be your guide, and show your children how to “make-do” by coming up with recipes that suit the ingredients you already have in your home. This will avoid a trip outside in poor weather, and will help your children learn needed life skills like cooking, budgeting, and meal planning. When your child’s school is cancelled due to snow, a good part of your day is already planned. Snow people, snow forts, and sledding were made for days with snow! So get outside and have fun! Share the fun by inviting neighborhood families for a playdate. Snow day get togethers will give adults time to visit and children an opportunity to burn off energy, socialize, and bring your great day to a close. Make the most of your snow/inclement weather day with these ideas. And at the end of a busy day — remember the school bus will be picking up your child bright and early tomorrow!